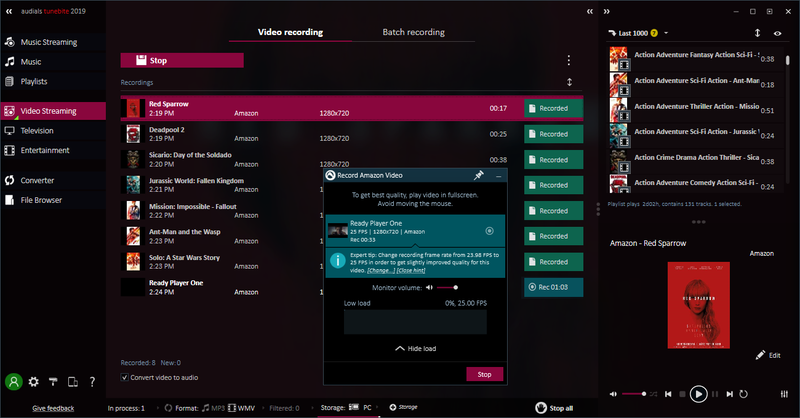 Audials Tunebite Platinum is the only video streaming recorder that can record a batch of movies automatically and complete seasons of TV shows from Amazon or Netflix episode-by-episode. But there is more: this streaming recorder has pre-configured the most important music service like Spotify and Deezer or video streaming service like Amazon and Netflix. Plus YouTube on top. 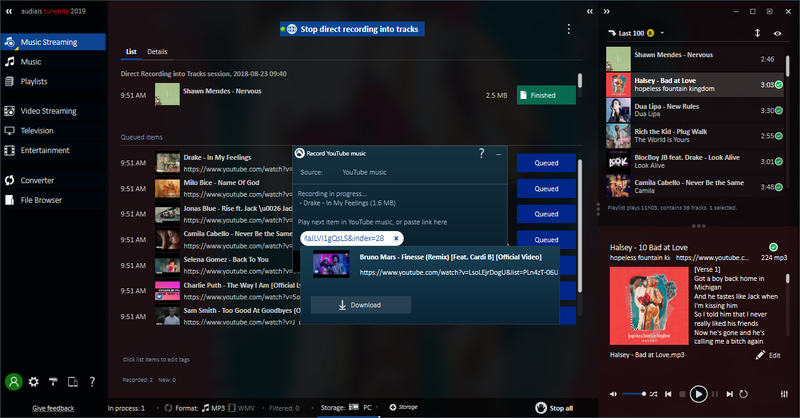 In case of Spotify recording, this tool is the only one that simultaneously records two playlists with fivefold speed! Double speed recordings are furthermore possible from Napster! Check it out with today’s discount software promotion, Audials Tunebite Platinum! Audials Tunebite Platinum includes not only a recorder for music and video streaming, but also a universal converter, DVD copier and player. 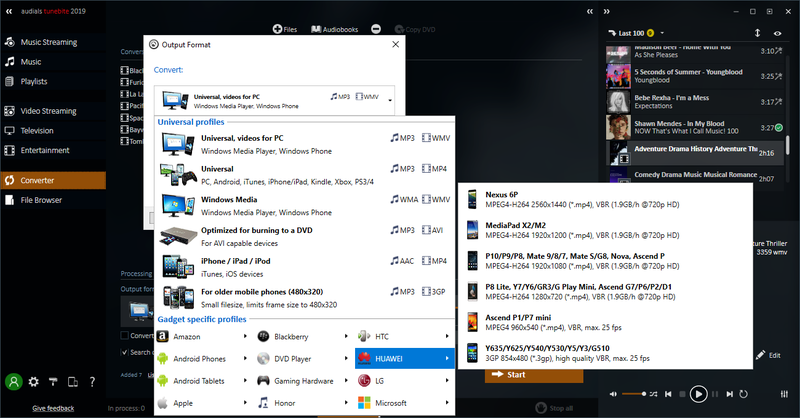 Record all media you like on the Internet, convert the files for using them on any device, whether PC, smartphone, tablet or game consoles and enjoy your media at home or on the go. With Audials Tunebite Platinum, you’ll have access to the very best options, all at your fingertips. 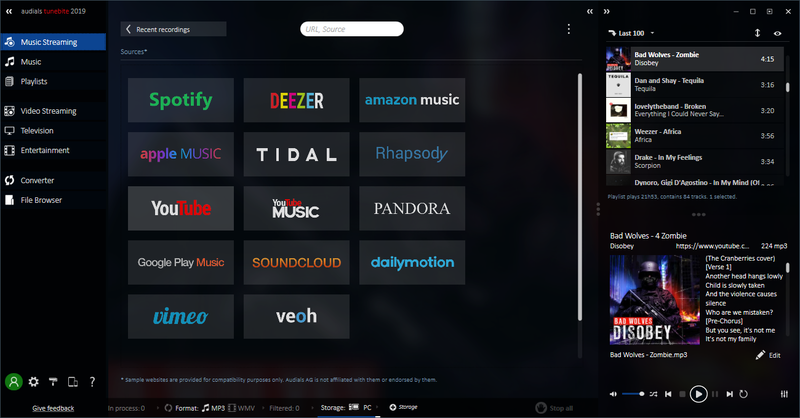 Do you regularly listen to streaming music, but wish you could port those tunes to another platform? Audials Tunebite Platinum makes it easy, automatically capturing music files in a variety of audio file formats. The same holds true for video content! Just start viewing, and a magic button appears letting you capture that video in the best possible quality for later viewing off of your hard drive! 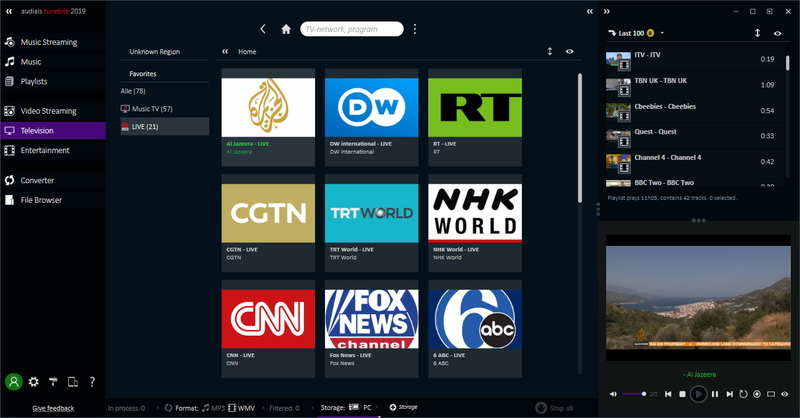 To see a feature comparison table for all Audials Windows software applications, please click here and scroll at the bottom of the page which opens up. After you purchase Audials Tunebite Platinum it may be used indefinitely. Audials Tunebite Platinum is licensed per computer, and not per user.